BIO4A will demonstrate first large industrial-scale production and use of sustainable aviation fuel in Europe, and will investigate the potential of recovery of dry marginal land in Southern EU. A new Horizon 2020 project will scale up the industrial production and the market uptake of sustainable aviation fuel, made from lipids, such as Used Cooking Oil. The project will also investigate Camelina, a droughtresistant non-food crop grown on recovered EU Mediterranean (MED) marginal lands. The produced sustainable aviation fuel, that will meet the conventional ASTM jet fuel standards, will be used by commercial airlines in regular passenger flights, thus contributing to achieve the EU’s goal for the decarbonization of the aviation sector. 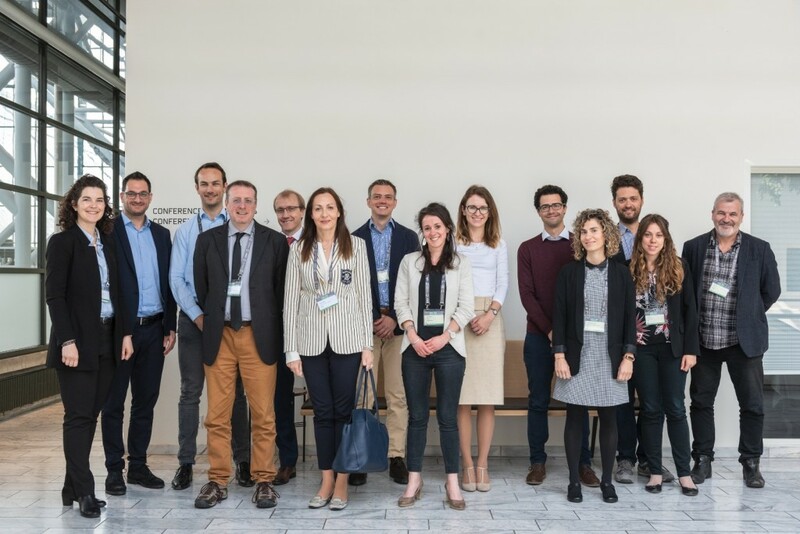 Coordinated by the Italian research organisation RE-CORD (Renewable Energy Consortium for Research and Demonstration) of the University of Florence, the four-year project BIO4A (Advanced Sustainable Biofuels for Aviation) will run until 2022 and will be carried out by an international highlevel partnership from France, The Netherlands, Spain, Belgium and Italy: TOTAL, SkyNRG, CENER (National Renewable Energy Centre of Spain), CCE (Camelina Company España), EC-JRC (European Commission – Joint Research Centre) and ETA-Florence Renewable Energies. BIO4A Kick-off meeting held during the 26th EUBCE in Copenhagen, Denmark, 2018. In 2011 the EU launched the Biofuels FlightPath Initiative as a strategy to promote the market development of sustainable aviation fuels, and set the very ambitious target of 2 Mt/y of aviation biofuels consumption in Europe by 2020. BIO4A will contribute to this strategy, demonstrating that sustainable aviation fuel industrial production capacity exists in the EU, in a biorefinery soon to be started-up in France (La Mède), with a production target of at least 5,000 tons of HEFA (Hydrotreated Esters and Fatty Acids) sustainable aviation fuel. The activities of BIO4A cover all steps of the value chain, from sourcing of sustainable feedstocks, to conversion into ASTMcertified sustainable aviation fuel, to blending and distribution to end-users at various airports across Europe. The sustainable aviation fuel will be distributed through standard airport infrastructures for commercial flights operated by multiple European airlines. The project will analyse a series of business cases to design effective and attractive market strategies, for the market uptake of aviation biofuels, based on real trading experiences. BIO4A will also carry out extensive R&D work on recovering marginal lands in the Mediterranean regions at high risk of desertification, exploring the cultivation of Camelina, a crop suitable for dry MED areas, whose oil can be used for biojet production. By adopting a combination of biochar and other soil amendments, the research aims at developing a cost-effective long-term strategy to increase the fertility of the soil and its resilience to climate change, while at the same time storing fixed carbon into the soil and producing a low-ILUC biofuel from Camelina (as indicated in the EU Renewable Energy Directive II proposal). Scenarios for potential replication in the EU MED area will be modelled, together with a full life cycle and sustainability analysis. Prof. David Chiaramonti, RE-CORD, project coordinator says: Air transport is among the most critical ones to decarbonise, a priority for the European Union together with heavy duty and maritime. BIO4A is a significant step forward towards clean aviation in Europe: it will bring the use of sustainable biojet ahead in terms of volume and innovation. Moreover, the research on increasing resilience of EU MED dry marginal land to climate change will open a new window to sustainable biomass production in the EU. Eline Schapers, Head of Supply and Operations at SkyNRG, world market leader in distribution and commercialisation of sustainable aviation fuel, says: The Bio4A project is an important step in scaling-up commercial production capacity for sustainable aviation fuel in Europe. We’re proud to be part of this project and are looking forward to setting up efficient and large-scale supply chains to further integrate sustainable aviation fuel use in Europe. About BIO4A: Bio4A (Advanced Sustainable Biofuels for Aviation) is supported by the European Union’s Horizon 2020 research and innovation programme. It addresses the topic “Enabling precommercial production of advanced aviation biofuel” (LCE-20-2016-2017).